Hot on the heels of his innova debut "No Such Animal," Tim Mungenast's "Steam-Powered Mars Lander" mixes harrowing, uncompromising sheets of sound with quiet moments of melodic beauty in another strong "shut up 'n' play your guitar" improv release for this Boston-based avant-guardian, straying even farther from his psychedelic rock roots. Although this suite shows Tim improvising "Martian prayers" with such luminaries as Chris Mascara, Michael Bloom (ex-Cul de Sac), Jon Proudman (ex-Cul de Sac), Mac Randall (Bedsit Poets), and 2kjb, "Steam" is also Tim's solo looping debut, with Tim improvising on several pieces "all alone without a net." Featuring the Mungulator (interactive passive ring modulator), as well as a whammy-equipped electric sitar, a vintage Fuzz Face, and the unique "Blasphemodule" pedal adapted from a toy megaphone circuit, "Steam" is an audio feast, blending daring performances with even more daring sounds. 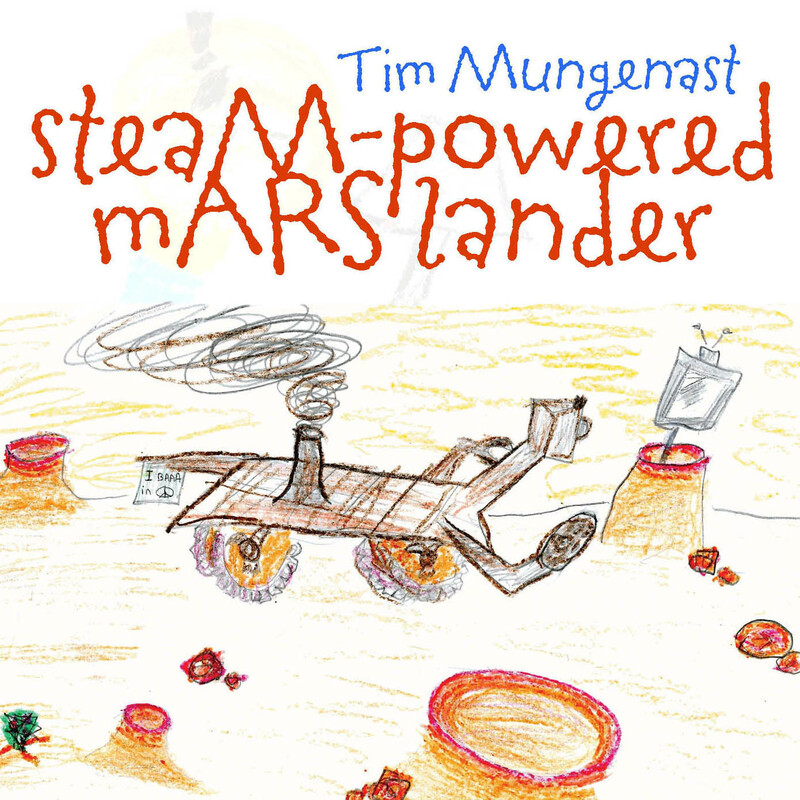 Steam-Powered Mars Lander is Tim Mungenast's second album for Innova. The last album was for a full improvising band, but this one is predominantly solo and duo guitar pieces. But since Mungenast is also using a looper on most or all of these pieces, it often sounds like there are more players than are really present. All pieces are improvised, but that doesn't mean they're unstructured. There's a great deal of variety present, from the pummeling "Barrage a Trois" (the only track with drums) to the ambient "Launch" and the feedback tone poem of "Enormodrone." Mungenast gets into '80s King Crimson territory with both "The Dragonflies Glowed in the Dark" (which brings "The Sheltering Sky" to mind) and "Burning the Diagram" with guitarist Mac Randall which eventually sounds like a Fripp/Belew duet. He also sounds a bit like Henry Kaiser on "Bagpipes of Osmotic God," and uses the Brian May stacked guitar tone to his own ends on "Brian May Does the Brown Acid" (and somehow does it without the aid of overdubbing). But Mungenast has some sounds all his own (including some really freakishly ugly-in-a-good-way tones) and offers up a nice range of sounds for the guitar adventurer.